Welcome to ottawabirthdoula.com | Are congratulations in order? As an Ottawa-based Doula with over 14 years of experience, I’ve attended over 600 births to date. I help women and their partners prepare for labour and birth, and I offer informational, emotional and physical support. We’ll meet several times at your home prior to the estimated due date to discuss preferences, comfort measures, breathing techniques, and address any fears and concerns that might be present. I’ll be on call for you 24/7 from sign up onward. I’ll be labouring at home with you until baby is born, or will transfer to hospital with you. I attend home, hospital, Birth Centre, OB, MD and midwifery-assisted births. Additionally to labour and birth services, I also provide postpartum support. 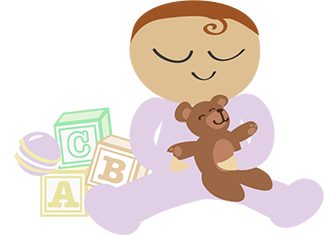 More information on postpartum services is available under the Postpartum Support link. As a certified HypnoBirthing® instructor affiliated with the HB Institute, I’ve been teaching this breakthrough approach in prenatal preparation since 2005 here in Ottawa. Please check the HypnoBirthing® link for more information, as well as the following article from The Ottawa Citizen: Taking the pain out of labour. I offer private HypnoBirthing® instruction from my west Ottawa home office, as well as group sessions at the Ottawa Birth and Wellness Centre. Thank you for visiting my web site. Check under Resources for helpful information for new families. New photos are frequently added to the Gallery, so check back often.